Some form of thyroid disorder affects roughly one in eight Americans during his or her lifetime. Currently, about 20 million Americans are affected by this disorder. Hashimoto’s disease is a type of thyroid disorder that affects 3-5 people in every 10,000. But what really is Hashimoto’s disease? How is it diagnosed? What causes it and what are the treatment options available to those who have it? Hashimoto’s Disease, also known as chronic lymphocytic thyroiditis, is the most common cause of hypothyroidism in the U.S. It is an autoimmune disease where the body’s immune system starts attacking the thyroid gland, eventually destroying it and its capability to produce the needed T3 and T4 hormones. The thyroid is a butterfly-shaped gland at the front of the neck that produces hormones to regulate the body’s metabolic rate. The two thyroid hormones, triiodothyronine (T3) and thyroxine (T4) are responsible, in large part, for regulating the body's heart rate, metabolism, and temperature. When the thyroid doesn’t produce enough of its hormones, it causes hypothyroidism. When this happens, metabolism becomes sluggish, the body becomes sensitive to cold, cholesterol levels increase, weight gain is imminent, muscles lose their strength, and there is general fatigue. There could also be a slowdown in brain function, which affects the person’s memory and ability to think clearly. What causes Hashimoto’s Disease is not strictly known. Doctors believe that genetics play a large role. Your doctor may look into your family history and try to ascertain whether any of your family members have had thyroid disorders themselves or other autoimmune diseases. Sometimes, a change in a woman’s hormone production also causes this disease. Women who develop a thyroid problem after having a baby are more likely to develop this disease at a later stage in life. Having too much iodine in your body may also trigger this in people who are more susceptible to thyroid disorders. Those who have been exposed to radiation at one point in time are also more at risk for developing this problem later on. 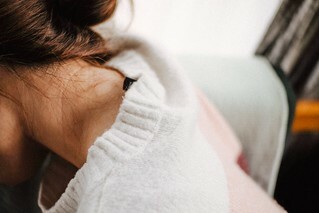 One of the first signs of this disease is the development of a goiter, or the enlargement of the thyroid gland itself. A goiter may look like you have a swollen neck at the front. It can also make swallowing difficult. Other symptoms of Hashimoto’s include excessive fatigue, inexplicable weight gain, a pale or puffy face, an enlarged tongue, and muscle and joint pain. Constipation, intolerance to cold temperatures, hair loss or thinning hair, brittle hair, irregular or heavy menstrual periods, a slower heart rate, and even depression are additional signs of this disease. The good news is that for about 25% of people who get Hashimoto’s, it will simply go away. Most of those who get it will be able to manage and stabilize it over the long haul. But a few of those who get it may not recognize the symptoms right away, as this disease has a tendency to develop slowly over time. There is danger in having the thyroid shut down completely if it remains untreated. A proper diagnosis is the first step in treating and managing chronic lymphocytic thyroiditis. Know what you are dealing with. Your thyroid condition can be controlled with the right dose of a prescription medication called levothyroxine. Another way to manage this disorder is to ensure that you are eating the right food. A gluten-free and paleo or vegetarian diet has been found to be most effective. Avoid goitrogens found in vegetables like cauliflower, bok choy, broccoli, or cabbage. Like all medical conditions, consult your doctor so you can find the treatment that’s best for you. Your doctor can give you a full medical work-up to determine the cause of any symptoms you may be experiencing and walk you through the treatment options that are available. If you live in or around the Washington area, the Kirkland Health Institute can help you diagnose and treat this disorder. We specialize in treating chronic health conditions like Hashimoto’s Disease. We will provide you with a comprehensive diagnosis of your condition, educate you thoroughly on the different ways to handle it, and help you decide on the treatment that’s best for you. Come see us at our office and find out for yourself!